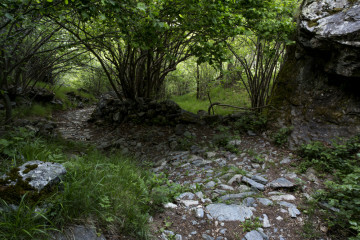 The route starts from the top of Capdella, next to Riqüerna’s ravine, following a high dry stone wall on the right, and then penetrates into a narrow riverside wood scattered with rather large-sized trees. After this slightly sloping path along the river, you will get to a wide valley characterized by its grass, its great views and its light slope until the bridge called Pontet de Rus (included in Aigüestortes and Estany de Sant Maurici National Park). 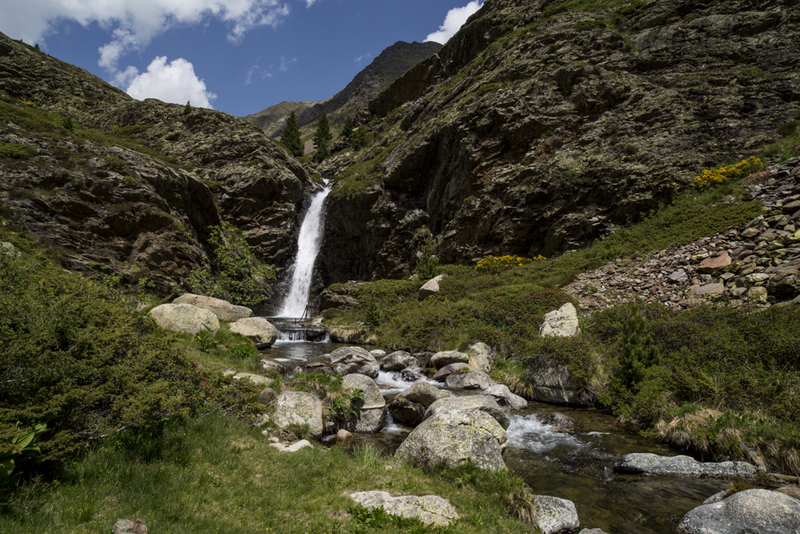 The waterfall you will find next to the Pontet del Rus is really spectacular. From there on, the slope gets harder. You will cross small river courses and springs, see some ponds on your left, until you get to a place with rocks and large-sized stones. From there, the slope is even steeper. After zigzaging uphill through the rocks, you will get to the pass of Port de Rus, where you will enjoy the wonderful views of both slopes. The whole route is scattered by small water courses that come from the main ravine. If you continue the path, you can reach Taüll through the pass of Port de Rus or connect with the GR11 (long-distance footpath) to Tapat’s lake.